By the time Wavy is a teenager, her relationship with Kellen is the only tender thing in a brutal world of addicts and debauchery. When tragedy rips Wavy's family apart, a well-meaning aunt steps in, and what is beautiful to Wavy looks ugly under the scrutiny of the outside world. A powerful novel you won't soon forget, Bryn Greenwood's All the Ugly and Wonderful Things challenges all we know and believe about love. My mother always started the story by saying, "Well, she was born in the backseat of a stranger's car," as though that explained why Wavy wasn't normal. It seemed to me that could happen to anybody. Maybe on the way to the hospital, your parents' respectable, middle-class car broke down. That was not what happened to Wavy. She was born in the backseat of a stranger's car, because Uncle Liam and Aunt Val were homeless, driving through Texas when their old beat-up van broke down. Nine months pregnant, Aunt Val hitchhiked to the next town for help. If you ever consider playing Good Samaritan to a pregnant woman, think about cleaning that up. I learned all this from eavesdropping on Mom's Tuesday night book club. Sometimes they talked about books, but mostly they gossiped. That was where Mom first started polishing The Tragic and Edifying Story of Wavonna Quinn. Here are some of the comments posted about All the Ugly and Wonderful Things. This is about what trust looks like. What love looks like. And it's about what family can mean and look like to those who live on the periphery of love. This is a brave story to tell. One that brushes up against what most would consider immoral and indecent behavior. It was hard to read emotionally, and I am glad I did. (Reviewed by BookBrowse First Impression Reviewers). This is a memorable coming-of-age tale about loyalty, defiance, and the power of love under the most improbable circumstances. Starred Review. Greenwood's powerful, provocative debut chronicles a desolate childhood and a discomfiting love affair... Intelligent, honest, and unsentimental. Bryn Greenwood is so good it hurts. Her writing is lean, precise, elegant and dripping with the telling detail - the understated bit of dialogue that reveals everything. 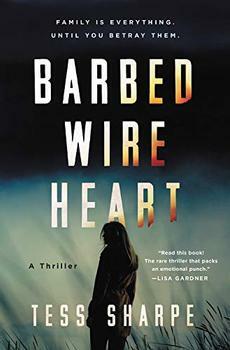 An emotionally resonant novel with an unlikely cast of characters you won’t soon forget. Bryn Greenwood’s unique voice and her understanding of human nature offer an amazing tale of family, loss, and love that’s as unpredictable and inspiring as love itself. Achingly raw and beautifully written, All the Ugly and Wonderful Things is both a hypnotic coming-of-age story and a heartbreaking tragedy. 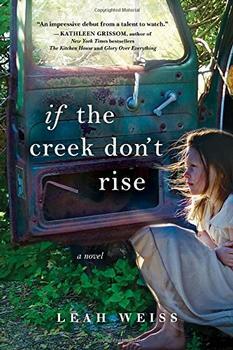 Greenwood’s emotional prose and her well-drawn characters immediately drew me in and kept me captivated. Written in lyrical and searingly honest prose, Bryn Greenwood tells a powerful story of love and resilience against the bleakest of backdrops. Like the best fiction, this is a novel that means to disturb and challenge as it forces us to look with compassion on every last one of its flawed, memorable characters. I was captivated from the first page to the last. Tough subject and uncomfortable at times, but it is so well written with a fast moving plot. I’ll read it again. It was that good. I really liked this book. It was an engaging book about a family with addiction, mental illness and personal problems. The main character Wavy was a a true survivor of her family life.